Black deconstructed t-shirt with a flaming red plus patch sewn on the front. 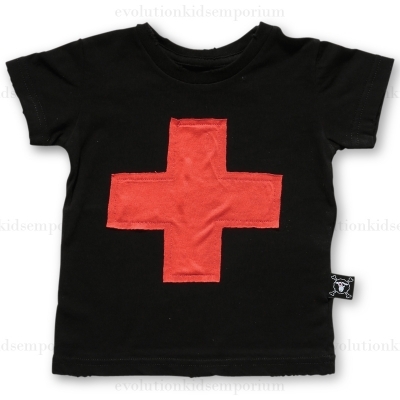 The cool yet comfortable alternative to the ordinary conventions of kids fashion. 100% Cotton.